Official announcements about awarded contracts, etc. Lynker is the single awardee for this program, the largest of all US Federal fisheries observer programs ($34 million over 5 years). This contract adds 60 additional qualified personnel to our team, who serve as biologists and data collectors/analysts onboard longline (tuna) and shortset (swordfish – to reopen this year) fishing vessels in the Pacific. We are deeply honored to have been selected to support the program, especially as it embraces new tools, technologies, and processes for data collection, monitoring, and reporting in the region. Lynker is one of 17 awardees (and the only HUBZone) on this $3.2 BILLION procurement. 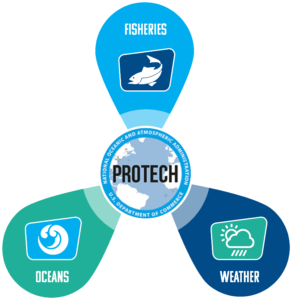 ProTech is the vehicle under which NOAA is consolidating all scientific, technical, professional, and administrative services across the US – both CONUS and OCONUS. Lynker, an industry recognized and award-winning SBA certified HUBZone small business, today announced that it has been appraised at Level 3 of the CMMI Institute’s Capability Maturity Model Integration (CMMI)®. CMMI® is a capability improvement approach that provides organizations with the essential elements of effective processes that ultimately improve their performance. An appraisal at Maturity Level 3 indicates the organization is performing at a “defined” level. At this level, processes are well characterized and understood, and are described in standards, procedures, tools, and methods. The organization’s set of standard processes, which is the basis for maturity level 3, is established and continuously improved over time. Lynker continues to deliver high performing Agile IT services in application software development, data analytics/analysis, solution architecture, and emerging technology insertion. As we expand our capabilities, it is critical to continuously improve and optimize our processes and operations to meet our growing client’s mission. “Through our continued refinement of best practices and integration of emerging technologies, our methodologies, which have been appraised at CMMI for Development at Level 3, provide a framework to improve our on-time delivery, quality, and agility to the benefit of our clients”, said Joe Linza, President of Lynker. “This appraisal recognizes Lynker’s dedication and commitment to continuous process improvement while keeping our client’s needs centrally focused. Lynker Technologies a leading provider of Scientific and Full Information Technology Lifecycle services for Federal Agencies, has been awarded a five (5) year contract with the National Science Foundation’s (NSF) National Center for Science and Engineering Statistics (NCSES) to provide comprehensive data management, infrastructure management, and legacy system modernization. Lynker Technologies provides data center infrastructure management, legacy data system maintenance, and application modernization development to provide an integrated data system solution in support of the National Science Foundation’s (NSF) National Center for Science and Engineering Statistics (NCSES). Our comprehensive support covers the full lifecycle of system support services including: systems analysis, design, architecture, maintenance, and operations; systems administration; database administration; requirements analysis and application development; interface design and development; quality management; software/hardware acquisition, maintenance and implementation within the NFS data center; and documentation support. NCSES is the principle source of analytic and statistical reports, data, and related information that describe and provide insight into the nation’s science and engineering resources. Lynker Technologies is leading the provision and support of a scalable, responsive, and expandable infrastructure and software platform to meet NCSES advanced data aggregation, transformation, analytical, and dissemination needs. Lynker Technologies a leading provider of Scientific and Full Information Technology Lifecycle services for Federal Agencies, has been awarded a five (5) year contract with the NOAA Office of National Marine Sanctuaries (ONMS) to support the Pacific Island Region (PIR). Our team will provide strategic planning, policy development, web and GIS, and education and outreach for the Hawaiian Islands Humpback Whale National Marine Sanctuary (HIHWNMS), Papahānaumokuākea National Marine Sanctuary and Monument (PNMS/PNMM), and the National Marine Sanctuary of American Samoa (NMSAS). Lynker is honored to serve the mission of ONMS in the Pacific, helping protect and preserve our nation’s largest contiguous fully protected conservation area and one of the largest marine conservation areas in the world. The Pacific Islands Region comprises three special areas that protect ocean denizens and ecosystems, as well as our unique island cultural and maritime heritage. Papahānaumokuākea Marine National Monument is the largest protected area in the United States, stretching the length of the Northwestern Hawaiian Islands. Co-managed with the State of Hawai’i and the Department of the Interior, the monument preserves one of the most untouched areas of coral reef in the world. The Hawaiian Islands Humpback Whale National Marine Sanctuary ranges from north to south through the main Hawaiian Islands, with areas off six of the main eight islands. Protecting endangered humpback whales and their habitat, the site engages in education, research and rescue to meet their mission goals. 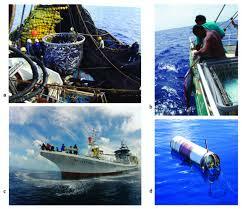 The National Marine Sanctuary of American Samoa is the only site located below the equator and in a U.S. Territory. Along with co-managers in the American Samoa Government, the site protects pristine coral reef. Lynker Technologies a leading provider of Scientific and Full Information Technology Lifecycle services for Federal Agencies, has been awarded a five (5) year contract with the National Oceanic and Atmospheric Administration (NOAA) Greater Atlantic Fisheries Offices (GARFO) to provide comprehensive information technology support. Lynker Technologies is supporting the GARFO Information Resource Management (IRM) division with full software lifecycle, infrastructure, and help desk support services. Our services, that sustain GARFO’s existing systems, networks, databases, web applications, and other operational components, are provided across GARFO, including all of its sites on the Eastern Seaboard, from Maine to North Carolina, as well as external customers in the fishing management and fishing communities. We are actively engaged in helping GARFO expedite the consolidation, modernization, and standardization of its Northeast Fisheries Information Management Systems portfolio under the Fisheries Dependent Data Visioning and Modernization (FDDV) Program, applying our expertise with Agile Development, CMMI-Dev, ITIL, and ISO to improve the way GARFO operates, sustains, and upgrades its software and infrastructure as well as to consolidate Help Desk operations. With support spanning Planning, Architecture, Design, Development, GIS Integration, Operations and Maintenance, and NoSQL Big Data Business Intelligence Analytics, Lynker Technologies is at the forefront of aiding GARFO in meeting their modernization mission. The Greater Atlantic Regional Fisheries Office (GARFO) of the National Marine Fisheries Service (NMFS) located in Gloucester, Massachusetts, administers the National Oceanic and Atmospheric Administration’s (NOAA’s) programs in the Northeast United States to manage living resources for optimum use. GARFO is responsible for the stewardship of the Nation’s living marine resources from Maine to North Carolina, and includes the Great Lakes under its authority to provide vital services to the nation including productive and sustainable fisheries, safe sources of seafood, the recovery and conservation of protected resources, and healthy ecosystems. 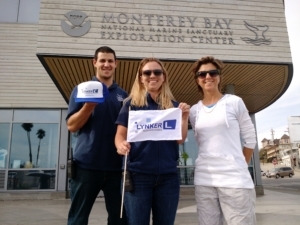 Lynker recently was awarded a BPA providing outstanding program, outreach and education, and operational support for the the Monterey Bay National Marine Sanctuary (MBNMS). Our personnel coordinate activities that enables MBNMS to promote resource protection, government and community relations and visitor center operations at the MBNMS Main Office, located Monterey, CA; Sanctuary Exploration Center (SEC) located in Santa Cruz, CA; and Coastal Discovery Center (CDC) in San Simeon, CA; as well as various locations throughout California. Our work directly supports ecosystem and habitat research, conservation, and custodianship across one third of the California coastline. We are proud to partner with MBNMS on this effort and are fully committed to the MBNMS mission and our people working on sites to promote the understanding, preservation, and protection of one of America’s greatest natural assets. Our work includes supporting the Water Quality Protection and Monitoring (WQ) Program; Coordinating Sanctuary Participation in the Agriculture Water Quality Alliance (AWQA); providing scientific and technical expertise for Sanctuary Ecologically Significant Areas (SESAs) and Pacific Coast Groundfish Essential Fish Habitat (EFH) 5-year Review Process; coordinating MBNMS special permitting under the National Marine Sanctuaries Act (NMSA); providing programmatic support for the Sanctuary Advisory Council (SAC); providing Sanctuary Exploration Center (SEC) Facility operational support; providing SEC Docent Training, Oversight, Scheduling, Enrichment and Recognition at the MBNMS education center in Santa Cruz, CA; and coordinating Volunteer Program for Coastal Discovery Center (CDC) in San Simeon, CA. Lynker Technologies is pleased to announce that it has been recommended for registration to the ISO 9001 Quality Management Systems certification from the International Organization for Standardization. The award certifies all aspects of Lynker’s business, with specific procedures set in place to evaluate and improve the company’s key processes, ensuring that customers continue to receive unparalleled customer service and support. The ISO is the world’s largest developer and publisher of International Standards and its stringent criteria are recognized worldwide. Its ISO 9001 requirements are among the strictest of the approximately 13,000 standards established by the organization and serve as a model for quality assurance in all facets of Lynker’s business, including design, development, production, installation and servicing with no exclusions. This distinction is also a significant step for Lynker’s growth as the ongoing process of maintaining ISO certification will facilitate the company’s continued corporate success as it works to adhere to the standards of excellence set by the organization. By continually striving to identify areas for improvement in operational processes, product quality and customer service, Lynker will offer expanding benefits to its end users and greater value to its corporate brand.